With approximately 20 new sawmills expected to be completed between 2017 and 2022 and production capacity increasing by more than 25 percent, the southern yellow pine (SYP) lumber industry is changing rapidly. This blog post, the second in our series about the North American lumber trade, offers a preview of the key technologies these new SYP sawmills will employ. Technological evolution is a constant in the sawmill industry. However, the application of computer systems in sawmills has led to dramatic changes in recent decades. 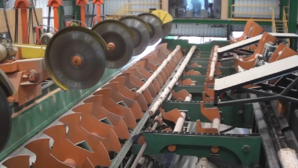 Since the mid-1970s, sawmills have been adding computerized scanning and optimization to many machine centers such as primary breakdowns, board edgers, gang edgers and trimmers. In the SYP region, curve sawing gang edgers were popularized in the 1990s and were installed in most mills by the end of the 2000s. The huge wave of newly-constructed mills throughout the US South prompts the obvious question: What new technologies will be employed to maximize efficiencies and profitability? Multi-Saw Optimized Log Bucking – While this is not the newest technology, many of the existing SYP mills have not adopted fully optimized multi-saw bucking systems. 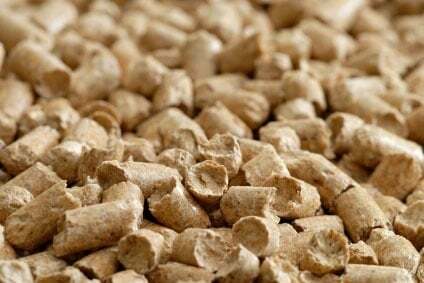 We expect nearly all of the new mills to use this technology because in order to produce 250 million board feet (or more) per year on two shifts of production, the newest mills will require the high piece counts that only these systems can produce. Additionally, this technology offers the lumber yield improvements that come with computer optimization. Autograding – The earliest automated grading machines for finished lumber yielded mixed results. But by the mid-2000s, vendors made significant advancements in grading accuracy. At high speeds, the latest generation of autograders can substantially outperform their human counterparts and nearly all industrial-scale SYP mills have installed these systems. While these machines do offer savings through reducing the cost of highly skilled labor, most mills find that the real return on investment comes from increased grading accuracy. More specifically, reducing the amount of #3 and #4 lumber and increasing premium quality sorts. Some mills are also installing grading optimizers in order to improve board edging, trimming, and sorting decisions on rough green lumber. Increased Automation – The newest sawmills will take advantage of improvements in automation to reduce staffing requirements for tasks such as allocating logs between primary breakdown lines and managing lumber ahead of lug loaders. Improved automation can also allow a single operator to oversee multiple machine centers, all of which leads to greater productivity per staff hour. 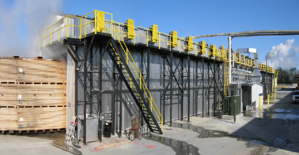 Continuous Kilns – The first counterflow continuous kiln in North America was installed in 2005, and they have become popular at southern pine mills very quickly. Benefits of these kilns include reduced energy consumption, higher throughput, improved drying consistency and improved product quality (fewer drying defects). In recent years, dozens of these kilns have been installed at mills across the southeast. Business Information Systems – For many years, sawmill employees could monitor production levels by keeping an eye on a reader board at the trimmer, allowing them to track volumes produced for the shift. Today, mills have much more sophisticated information tools available, and many sawmills are making more and more data available in real time to managers and production employees, including piece counts for individual machine centers, lumber yield, quality control metrics and other key performance indicators. With the rise of the information age, sawmillers are also becoming more sophisticated in how they collect and share data. Visualization tools such as charts, graphs and digital “gauges” are being used to present data in ways that are intuitive, allowing the user to quickly interpret the information and take action as needed. The newest mills and most sophisticated operators will use the increasing abundance of information to make data-driven decisions and to rapidly identify and respond to changing trends. Recognizing the move toward real time data monitoring and more powerful business information systems, The Beck Group has partnered with Forest2Market to develop a platform for delivering sawmill operational and financial benchmarks in an environment that is continuously available, intuitive and powerful yet easy to use. Sawmill TQ is a cloud-based service hosted on Forest2Market’s SilvaStat360 platform, and the product has been created to meet the business intelligence needs of the modern sawmilling industry. New southern pine sawmills will take advantage of the latest technological advancements available to the industry, and they will use these tools to gain an upper hand in the market. Improved productivity, lumber recovery, superior grade yields and data-driven decision making will allow these mills to maximize their productivity in a highly competitive environment.